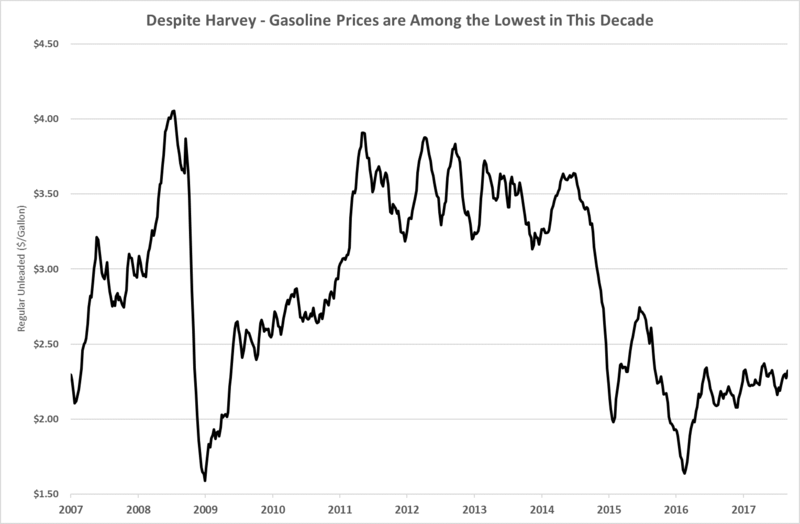 Hurricane Harvey devastated the heart of U.S. oil production and refining. The refineries around Houston produce most of the gasoline we use in the U.S. And gasoline is the lifeblood of car-loving Americans. The storm in Texas shut down refineries. That reduced the supply of gasoline, which pushed up prices. On the West Coast, the average price of all grades of gasoline is $2.97 per gallon. That’s $0.31 per gallon higher than this time last year. Prices are up all over the U.S. from this time last year and from this time last week. 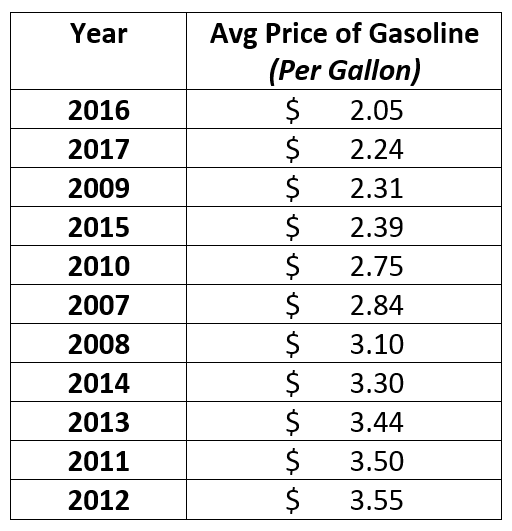 However, we are still paying far less for gasoline today than we did for most of the last decade. As you can see above, the price of gasoline plummeted in 2014. It stayed low since then. Cheap gasoline is a headwind on electric car sales. It’s hard to convince folks to give up their SUVs when it doesn’t cost much to fill their tanks. However, if the price ramps back up to $3.50 per gallon, it’ll boost sales of electric vehicles. That’s what spurred sales of hybrids in the past. For now, it’s a good time to own a muscle car.